The Glenorchy Primary School, the local school near the Wildlight Safaris base, has a strong commitment to the environment. The students are involved in many community projects, such as rearing chickens, painting murals, and creating an edible garden. This school is a place to learn and a place to grow, and it is clear that the students take great pride in their efforts to contribute to nature. 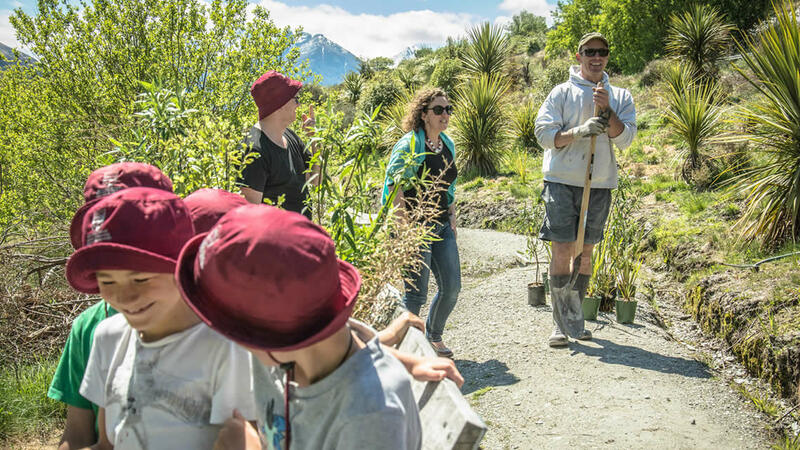 With our close ties to the Glenorchy community and our passion for New Zealand’s natural environment, we were eager to start our own project for the school. We raised funds to develop a native nursery, and for the past two years, the project has seen great success. 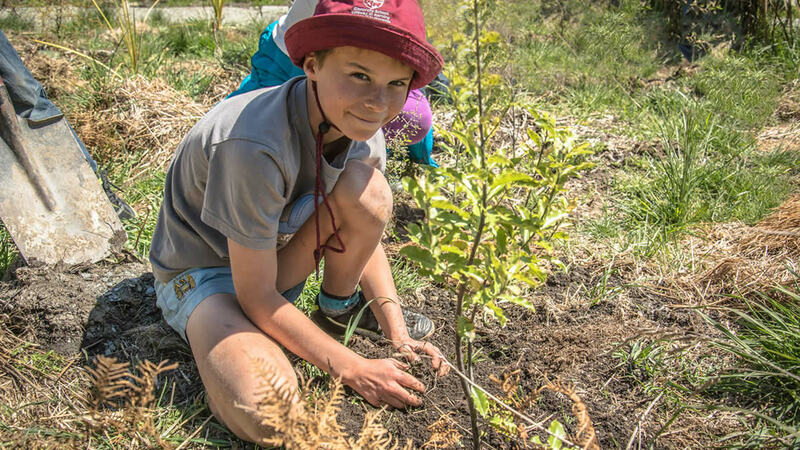 The students have cared for native seedlings under our guidance, nurturing these trees from seed collection to ground preparation. Next, we will relocate the trees to a forest regeneration site in the Wakatipu Basin. We have a management agreement with the New Zealand Department of Conservation which allows us to reforest a portion of land for our project. To date, we have planted over 350 trees with the students, and we have already witnessed an amazing transformation of the landscape. 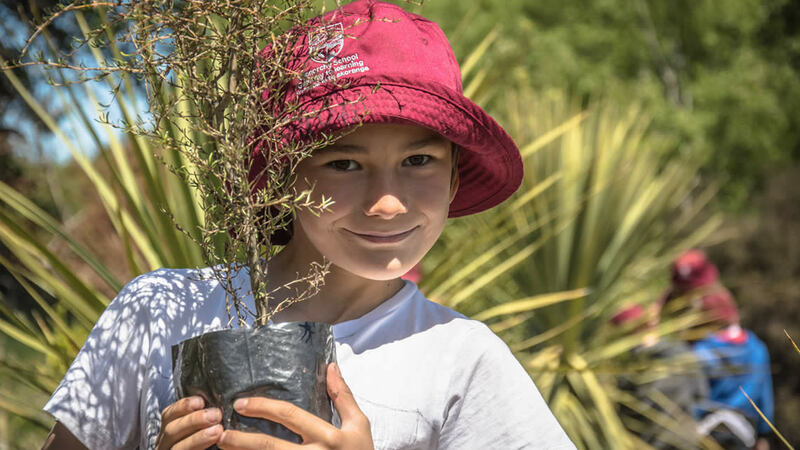 Our work has had a significant impact, not only on the life of our native forests but also on the children who gain inspiration and pride from this connection with nature. 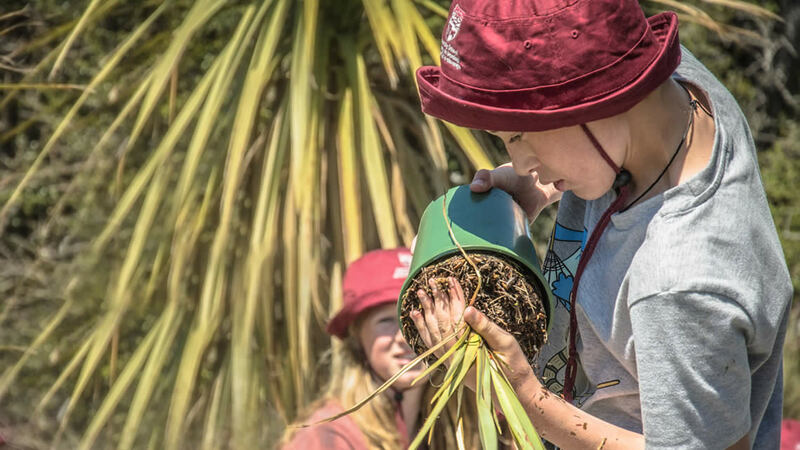 Recently, the Glenorchy Primary School received the highest Enviroschools award for its sustainability practices, which includes our native nursery—a major accomplishment for the school and community. Additionally, a part of the tariff you pay for an adventure with us is donated to the Glenorchy Primary School so that we may continue to run our project. Your contribution goes a long way, both for our kids and our forests. Contact us to plan your adventure and plant your tree today. Filed under Conservation, Native Nursery.